The 2017 UCLA Festival of Preservation opens this Friday evening, March 3rd. The Festival of Preservation is a month-long biennial series celebrating the work of the UCLA Film and Television Archive. All screenings take place at UCLA's Billy Wilder Theater, located at the Hammer Museum in Westwood. The schedule is posted at the Archive website. I've had a wonderful time at the last three festivals. Last year I saw a half dozen films which provided some very special experiences, especially the marvelous comedy BACHELOR'S AFFAIRS (1932) and a memorable screening of HER SISTER'S SECRET (1946). 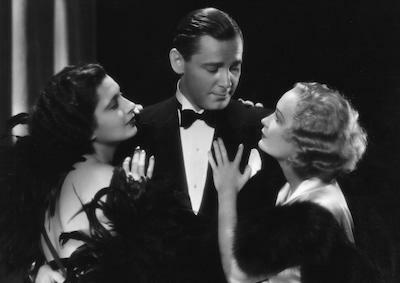 I'll be on hand opening night, when there's a wonderful opportunity to see Ernst Lubitsch's sublime comedy TROUBLE IN PARADISE (1932) on a big screen. TROUBLE IN PARADISE will play with I TAKE THIS WOMAN (1931), in which big city girl Carole Lombard marries cowboy Gary Cooper. Can't wait! GOOD REFERENCES (1920) and THE POOR NUT (1927) on March 4th sound interesting as well, with Constance Talmadge in the first film and Jean Arthur in the second. I've made some wonderful discoveries at past festivals, which encourages me to continue trying completely unknown films such as these. I also hope to be on hand March 10th for a second chance to see UCLA's print of HE WALKED BY NIGHT (1948), which I saw as part of the 2014 Anthony Mann Festival. HE WALKED BY NIGHT is playing with the rare noir OPEN SECRET (1948), a film about anti-Semitism starring John Ireland and Jane Randolph. March 20th has also caught my eye: a double bill of Chester Morris and Genevieve Tobin in INFERNAL MACHINE (1933), paired with Preston Foster and Wynne Gibson in SLEEPERS EAST (1934). Preston Foster in a train movie on the big screen? Yes, please! Anyone who hasn't yet seen the Argentinian noir THE BITTER STEMS (1956), aka LOS TALLOS AMARGOS, has a chance on March 4th. It's on a double bill with the Mexican film SHE-DEVIL ISLAND (1936). There are many more interesting evenings on the festival schedule. Consult the complete list for details. 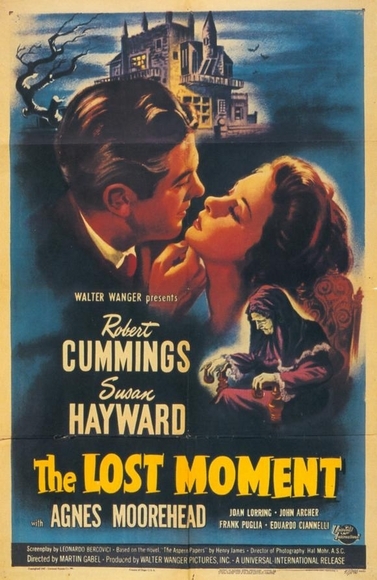 The last couple of screenings, including Robert Cummings and Susan Hayward in THE LOST MOMENT (1947) on March 27th, will overlap with the 19th Annual Noir City Hollywood festival. We are truly blessed with many wonderful big screen opportunities in the L.A. area! I'll have more information on Noir City posted here in March. A look back: The 2011 UCLA Festival of Preservation, The 2013 UCLA Festival of Preservation, and The 2015 UCLA Festival of Preservation. Update: Here is Kenneth Turan of the Los Angeles Times on the festival. Update: Leonard Maltin shares thoughts on the festival. 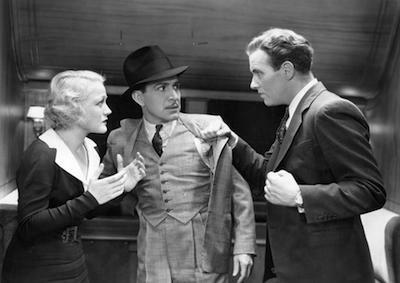 Update: Here's a review of I TAKE THIS WOMAN (1931), which was seen along with the previously reviewed TROUBLE IN PARADISE (1932). More reviews: A double bill of GOOD REFERENCES (1920) and THE POOR NUT (1927); OPEN SECRET (1948), seen with the previously reviewed HE WALKED BY NIGHT (1948); THE MAD GAME (1933), 365 NIGHTS IN HOLLYWOOD (1934), and Classic Animated Paramount Shorts; MAMBA (1930) and CHEER UP AND SMILE (1930); INFERNAL MACHINE (1933) and SLEEPERS EAST (1933). You have some terrific and interesting viewing ahead, Laura. Wow! I also just learned Noir City will be coming back to Hollywood in June with a completely separate schedule, the "heist" schedule which played in San Francisco last month. We are so fortunate here!